Google Docs is about collaboration, but as many of us know, others often rely on us even when we’re nowhere near a computer. That’s why we’re excited to bring the features you need to your tablet and mobile device’s browser. 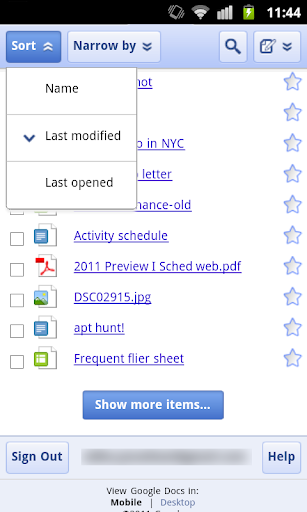 Today, we've updated the look of Google Docs for mobile browsers and added the ability to sort, narrow, and share multiple docs in your mobile docs list. To get started, go to docs.google.com from your supported device’s browser. Press Sort to organize the list of docs visible in the mobile browser, or press Narrow by to specify the subset of docs you’d like to see. 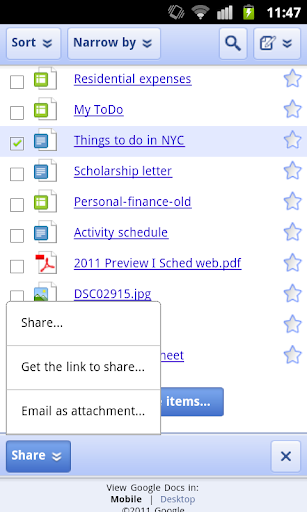 To share from your mobile docs list, select one or more documents, press the Share button, and select Share, Get the link to share for public or unlisted docs, or Email as attachment. 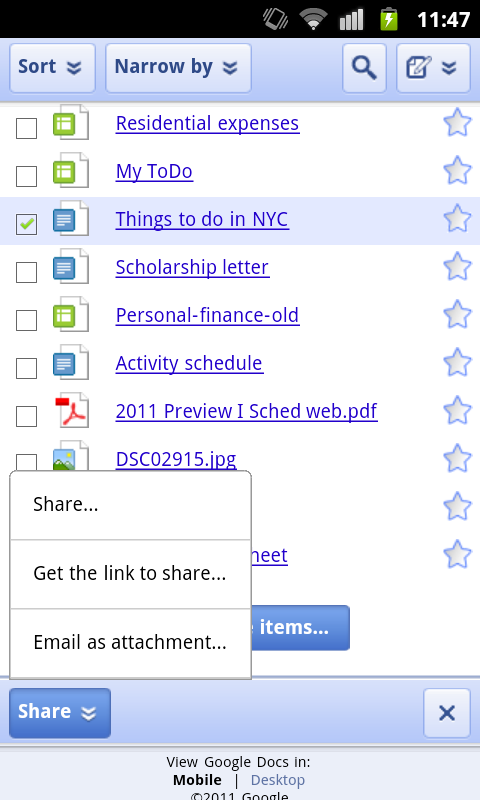 Sharing a doc in your mobile browser works the same way as it does on the desktop. 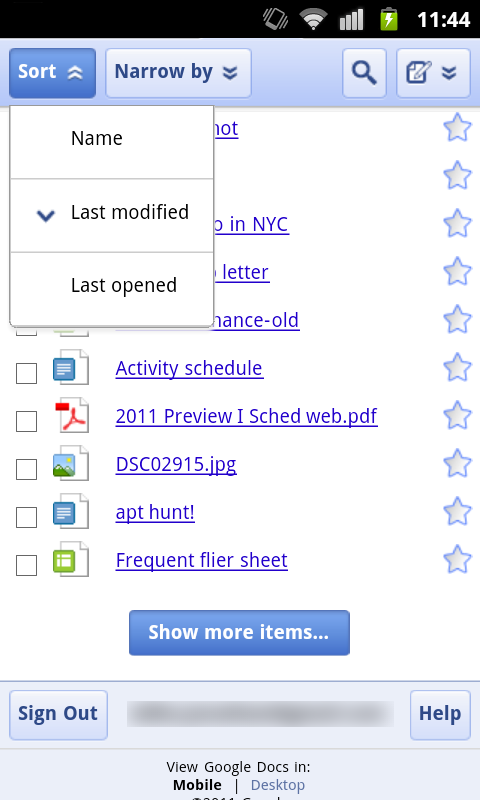 We’re committed to improving the experience of accessing your docs from your mobile device. We’d love to hear what you think is working and what isn’t in our support forums as well as in the comments of this post.